All Posts Tagged With: "Nordstrom"
Charlotte Tilbury Grab & Glow Set, $99, Nordstrom.com. Using Charlotte Tilbury makeup in a minute products, you can now embrace the effects of summer all year long. The Beach Stick in Moon Beach is key to cheating a holiday summer glow. The hottest sale of the summer is finally here and Charlotte Tilbury has two amazing exclusives to snag right now. 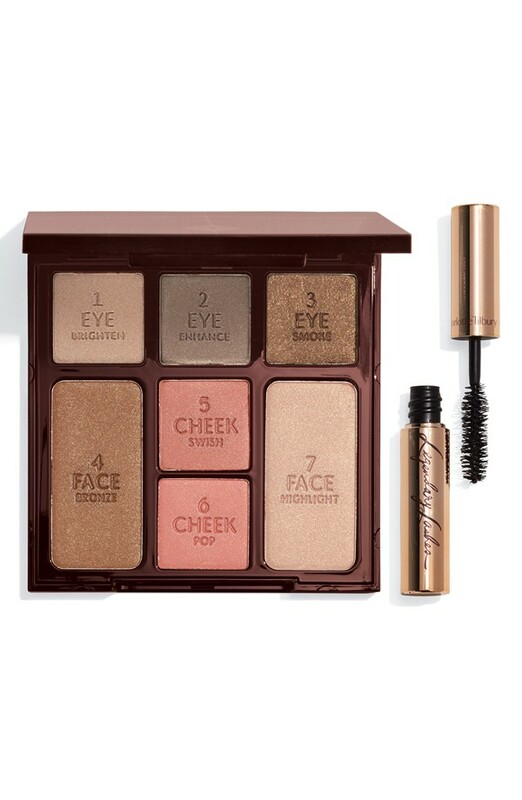 The Instant Beauty Palette The Dolce Vita Look is perfect for anyone who wants a flawless full look in under five minutes, and includes one of Charlotte’s newest launches, Legendary Lashes. If you’re searching for a smoldering smokey eye that intensifies to your liking be sure to check out Charlotte’s Mesmerizing Smokey Eye Set. Each of these items are available for pre-sale now and will be open to the public starting July 22nd exclusively at The Nordstrom Anniversary Sale. Today I got the chance to check out the pedicure at Nordstrom SPA in Scottsdale Fashion Square Mall. 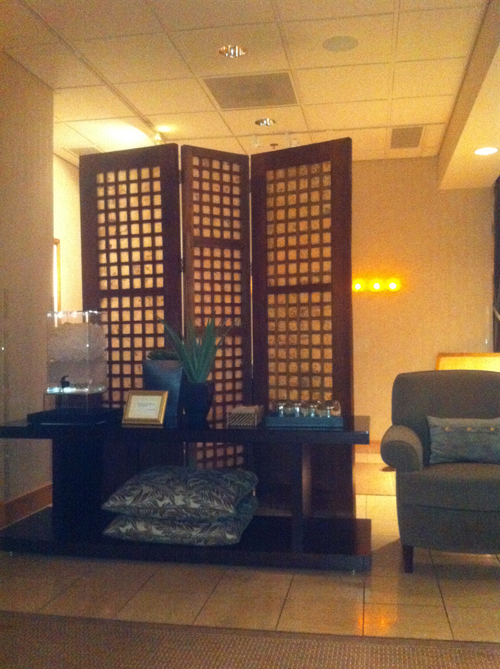 Once again as soon as I was escorted to the relaxation room I was relaxed. Hot Stone Massage at Nordstrom Scottsdale Fashion Square Mall is just what the doctor ordered. 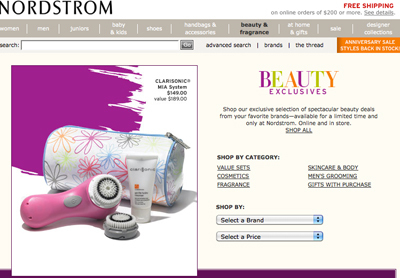 Try it you like it:) I normally go to Nordstrom for shopping and sometimes forget that there is a cool SPA there also. Basically the SPA reception you see as you enter the SPA is just the tip of the iceberg, as soon as you are walked into the SPA rooms it’s big inside. 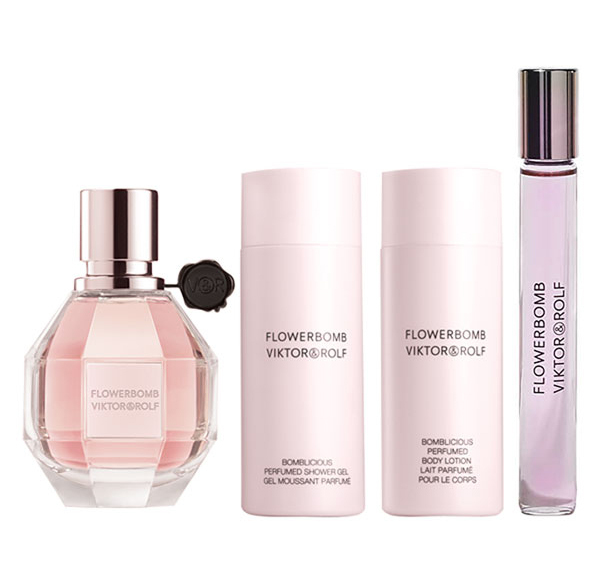 This post is because I love shopping at Nordstrom and these are a good selection of perfumes just in time for Mother’s Day or anytime. 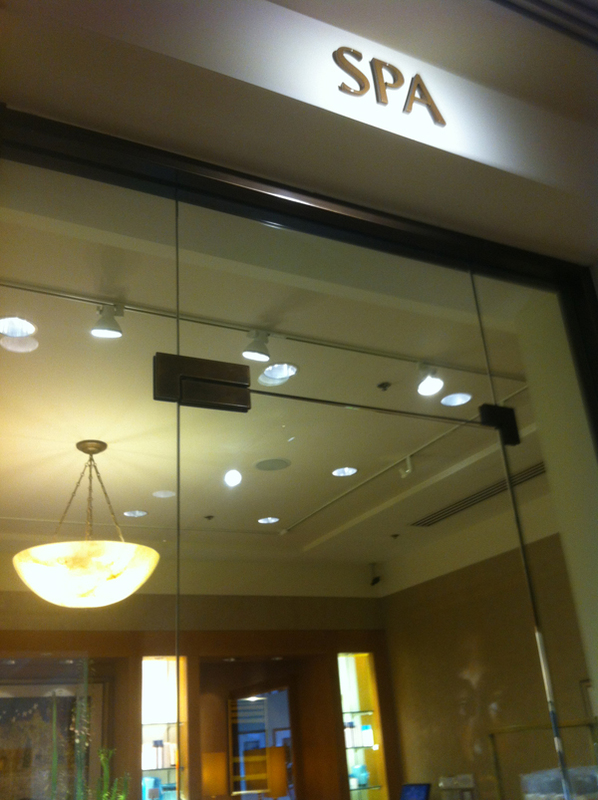 ARCONA natural skincare is proud to launch at Nordstrom Santa Monica Place this Friday, August 27, 2010! For over 20 years, ARCONA has been known for its cult following among Hollywood A-listers, including Natalie Portman, Anna Kendrick, Zac Efron, China Chow, Kellan Lutz, Jessica Szohr and Emily Deschanel. LA-based ARCONA is thrilled to bring their highly efficacious products – and star-power – to Nordstrom! As celebs have known for years, the natural skincare formulas deliver flawless skin – that glows. July 16th through August 1st, 2010, shoppers nationwide will participate in what has been an annual ritual since the 1960’s, the Nordstrom Anniversary Sale. Vacation days are planned around it, lines form in anticipation of it – and it’s not only for the pre-season savings on fall fashion and accessories. Lancôme’s latest and greatest mascara, Définicils Precious Cells ($29), is now available exclusively at Nordstrom and Nordstrom.com. It’s Lancôme’s first mascara to regenerate the condition of lashes, minimize lash loss and, of course, make your lashes look fab.